Aging can make your skin gradually lose its firmness and elasticity over time. While this can happen in almost any part of the body, the effect is mostly noticeable on the face, particularly around the eyes. Droopy eyelids are a common concern as this can immediately make a person look older and even cause vision problems. Fortunately, there are a number of non-surgical treatments that can lift your eyes and brows. These include Botulinum toxin, Ultherapy, and Exilis Ultra, which are all found useful in tightening sagging skin and smoothing out wrinkles. Continue reading to find out how these procedures can correct eyelid issues and fix drooping skin around the eyes. Botulinum toxin otherwise known for the brand, Botox, is an FDA-cleared injectable procedure that can effectively treat droopy eyelids, as well as wrinkles, forehead lines, frown lines in between the brows, and wrinkles in the corner of the eyes. If injected properly and with the right dosage, Botox can help lift your brows while maintaining facial mobility for a well-rested and natural appearance. For the brows, Botox is injected along the muscles responsible in pulling down the eyelids causing the eyes to droop. It relaxes that muscle so that their ability to depress is reduced. This gives a one to two-millimeter lift. But in general, Botox works by temporarily blocking the signal from the nerve to a muscle to soften and relax lines due to muscle contractions. This is the reason why Botox is ideal for wrinkles formed by a facial expression such as squinting, frowning, and smiling. These include frown lines, droopy eyelids, crow’s feet, horizontal forehead lines, as well as lines around the lips and neck. Although the procedure involves injections, many patients report experiencing minimal to no pain at all. If you are still worried about the needles, it is good to know that topical anesthetic cream can be applied to provide a numbing sensation before the injection is performed. The procedure can take about 15 to 20 minutes. It may take about two weeks to see the full effects of the Botox treatment. The result may last for three to six months, with repeated or touch-up treatments being beneficial in making the effects last longer. While there is no recovery or downtime needed, you may experience temporary redness for a few minutes. Small potential bruising at the treated area is also likely, but this will subside after a couple of days and can be covered with mineral makeup. When getting this treatment, be sure to only choose an experienced and conservative aesthetic doctor to get natural-looking results. Trusting someone with the right skills, experience, and good knowledge of the facial anatomy will help you get the results you wanted. For some people who are not comfortable with needles, another non-surgical options include energy-based procedure such as Ultherapy. Ultherapy is an FDA-approved non-invasive skin treatment that uses time-tested focused ultrasound energy to stimulate collagen resulting to a more lifted skin. It takes advantage of the body’s regenerative response to gradually lift the skin on your eyebrows and improve the appearance of droopy eyelids. Ultherapy in Singapore uses a system called Ulthera, which delivers the right amount of energy to the foundational layers of the skin. This triggers a natural response underneath the skin, which jumpstarts the process that stimulates the production of new and fresh collagen. A single session of Ultherapy brow lift can take at least 30-45 minutes and an additional 30-45 minutes is needed to prepare your skin prior the procedure. It involves an application of numbing cream before the treatment to make the procedure a lot more comfortable. There is no downtime after the session, so you can immediately go back to your normal routines. Slight bruising and tenderness on the area is likely, but this will resolve after a few days. It may take about two to three weeks to see the full effects, as the body needs time to naturally produce new collagen. After then, you will notice a natural-looking lift of the brows, which can give you a rejuvenated and a younger-looking appearance. Exilis Ultra in Singapore is a non-invasive skin tightening treatment that can lift the skin and promote collagen production. It simultaneously combines two FDA-cleared energies – radiofrequency and ultrasound – to gently heat and tighten the skin giving you a youthful appearance. Exilis Ultra can lift and tone the saggy areas around your eye by delivering safe heat energy. The scattered ultrasound energy also enables the system to heat the skin tissues faster, easier, and more effectively. This stimulates the production of collagen and elastin to tighten and firm the skin. Apart from lifting droopy eyelids, you can also use Exilis Ultra to treat other areas of the face such as the cheeks, lower face, and neck. It comes with small and big applicators to treat different parts of the body that requires tightening or contouring, including the arms, abdomen, and thighs. The best part about Exilis is that it offers dramatic results without recovery or downtime. This means that you can immediately return to your normal activities directly after the session. You may notice improvements after just one to two sessions, but in general, result can be seen at least after four to eight treatments. This will still depend on the area of concern and your individual profile. This only makes it important to schedule a consultation with an experienced aesthetic doctor in Singapore. 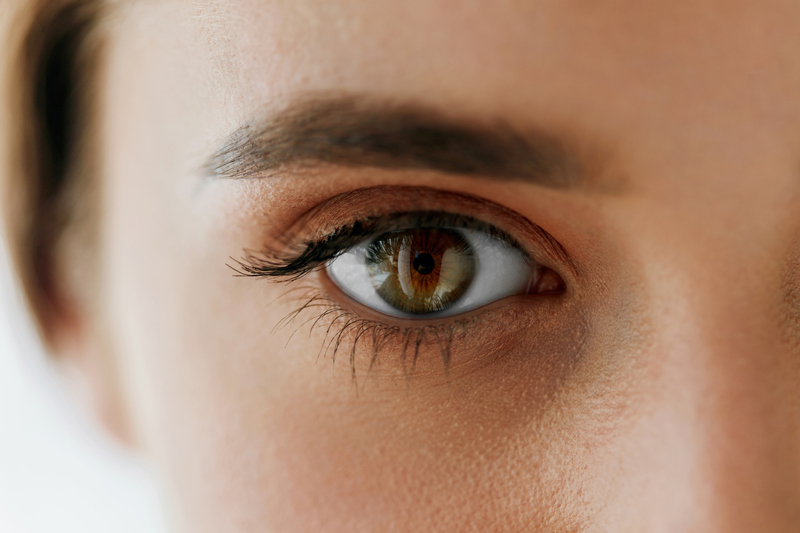 Make your eyes look more youthful with these aesthetic treatments. Contact Cutis Laser Clinics today and schedule a consultation with our Harvard-trained aesthetic doctor, Dr. Sylvia Ramirez, to find out which procedure is suitable for you.